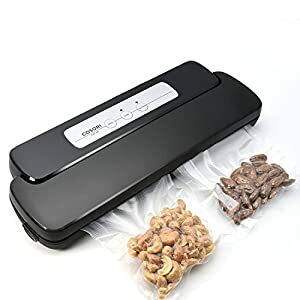 Tags: black, food saver, food sealer, food sealing, food sealing machine, sealing machine, sous vide, sous vide cooking, sous vide machine, vacuum sealer, Vacuum Sealing, Vacuum Sealing machine, Vacuum Sealing System. 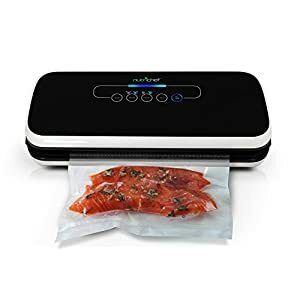 You can use InLife Automatic Vacuum sealer to seal dry and moist foods, salads, soups, apple sauces, tomatoes, beans, documents, books, jewelry, and other valuables. Vacuum bags will increase the lifespan of your groceries and homemade dishes. 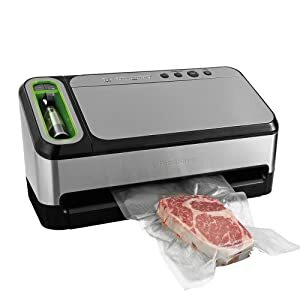 Imagine that meat in your home can be stayed fresh 6 times when takes vacuum seal than ordinary storage. Cheese will keep 16 times longer when vacuum seal than conventional storage. And sugar can also keep fresh for up to 4 times longer. What a nice surprise! 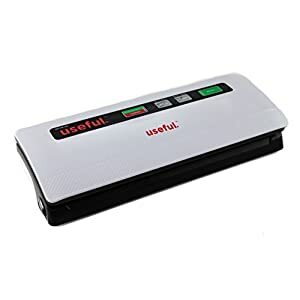 -40KPa/-60KPa Vacuum Degree: much stronger to decrease oxygen levels and seal faster than other models to keep out mold, bacteria, and moisture from your food and drink. •The width of the sealing film or the preservation bag cann’t exceed 12 inches, and it must be placed in the vacuum chamber. 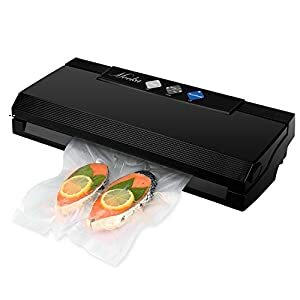 Fresh Preservation- Keeps dry and moist foods fresh, prevents freezer burns on frozen fruits and vegetables, keeps ingredients entirely free from nasty bugs and bacteria and locks nutrients in food to give your families a healthy and nutritious life. Easy Operation- Press both ends of the top lid correctly to close it. Choose VAC or Man sealing mode then press star/stop button to initiate vacuuming. 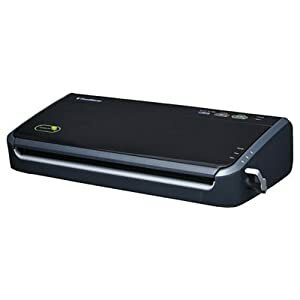 Press the Cancel VAC button to make air out after vacuuming finished and then press the buttons on the both side to open the top lid. Besides, Start/stop button can further control the vacuum pressure. 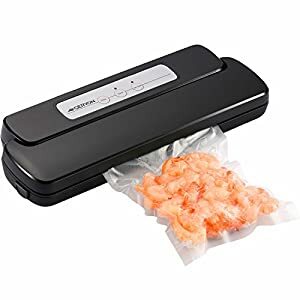 Convenience- High power and seals foods in seconds to keep your foods always fresh, it saves your time in buying foods and organizes space to store foods. In addition, it is extremely light and compact can be hiding it in anywhere. 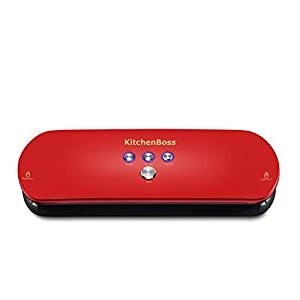 Perfect gadget for your kitchen. 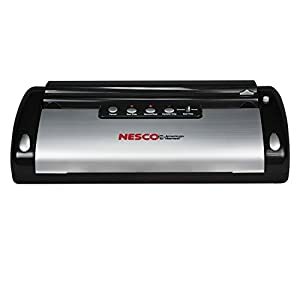 1-Year-Warranty- buy with confidence- The Starter Kit includes 10 preservation food saver bags, five 6×10″ and five 10×8″. 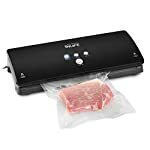 INLIFE vacuum sealer can be used with canister or hose (NOT included).